President Muhammadu Buhari that anybody who wants to, is free to leave Nigeria. and unarmed IPOB members, who are agitating for Biafra and hurriedly their detained leader, Mazy Nnamdi Kanu and others, who they described as illegally detained prisoners of conscience. 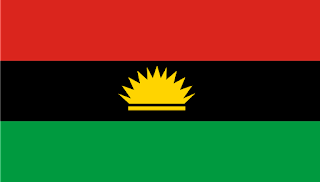 IPOB said for once, Buhari had spoken reasonably though his conditions are not acceptable to them. consider the inevitable disintegration of Nigeria, though with conditions found to be inconsistent with common sense and logic.